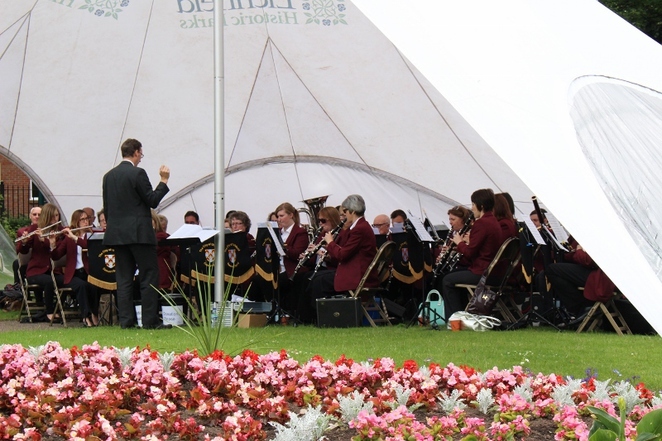 The City of Lichfield Concert Band is to celebrate its centenary in the only way possible, with two free outdoor concerts during the course of June. The big band will take centre stage within Beacon Park's Museum Gardens in Lichfield city centre on Sunday 11 and Sunday 25 June, between 2pm and 4pm on each day. Everyone is invited along on either or both of the Sunday concerts to enjoy free musical entertainment in the delightful and historical setting of the Museum Gardens. The City of Lichfield Concert Band is set to play a varied musical programme that is likely to include show tunes, film themes, pop hits and classical greats. 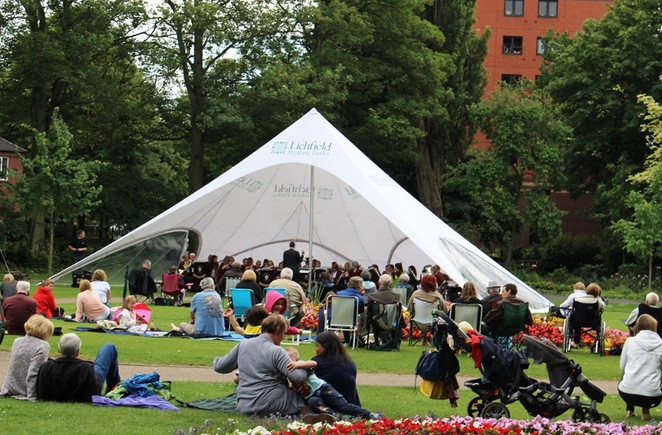 The Sunday concerts will continue the tradition that started 100 years on with its foundation, by entertaining the people of Lichfield and the surrounding area. Although the Second World War resulted in a long break, the band was re-started in 1985 by a group of music enthusiasts. Local councillor John Wilks, one of the re-founding members, was the President of the Band until he passed away at the end of 2014. The band has a special relationship with the City of Lichfield and plays for civic events, including the Sheriff's Ride, twinning and other public ceremonies. At the same time, the band has accepted invitations to play in other venues around the West Midlands, and even embarked on tours to Paris and Limburg in Germany in 2010 and 2011. 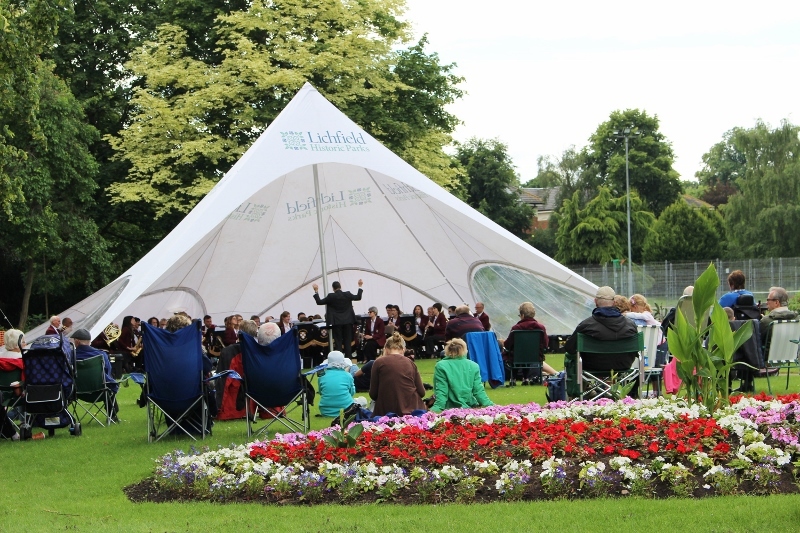 Councillor Iain Eadie, Lichfield District Council's Cabinet Member for Leisure, said: "Visitors to Museum Gardens will be in for a treat with the City of Lichfield Concert Band's performance. They are such talented musicians and have long been entertaining the crowds at our very own Lichfield Proms in Beacon Park, which is taking place this year on September 2. In the meantime, we are all looking forward to hearing them play at Museum Gardens this month." There will be something to suit all ages and musical tastes, so everyone is invited to bring along their picnic blankets and deck chairs and be entertained in the picturesque surroundings of Museum Gardens on Sunday 11 and 25 June, between 2pm and 4pm. To find out more about visiting Beacon Park go online. Looking good hope to be there!